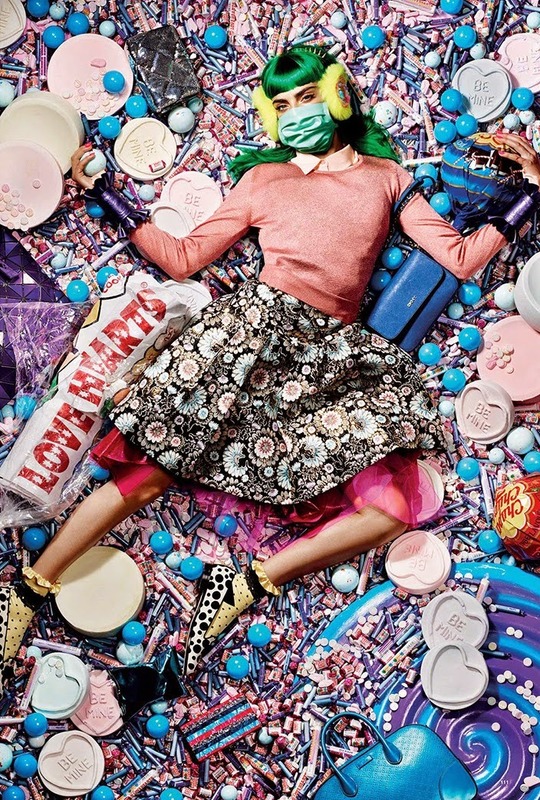 Take a trip to wonderland in this colorful mix of couture and candy. 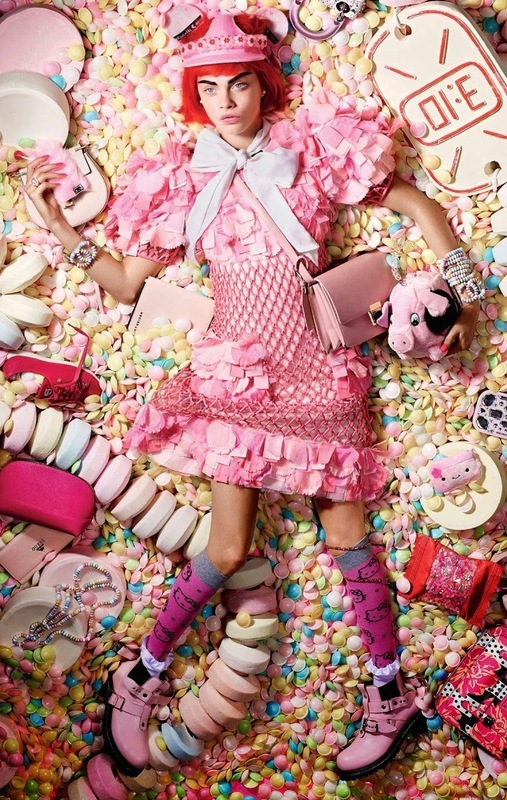 Lost in a daydream, Cara Delavingne gives us a sweet tooth, laying across licorice, sweet-tarts, gumballs and taffy. 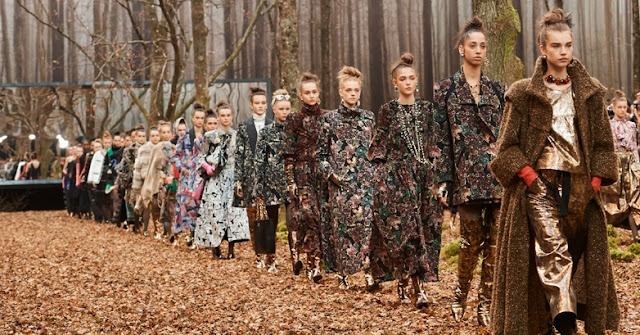 Bringing the art of modern fashion to the forefront, stylist Phoebe Arnold captures our imagination, with a beautiful array of sugar and style. The look of linear beauty has arrived with graphic eyes that are ready to ignite.The power of primary pops, as candy colored wigs command, in this explosion of hypnotic hair by. 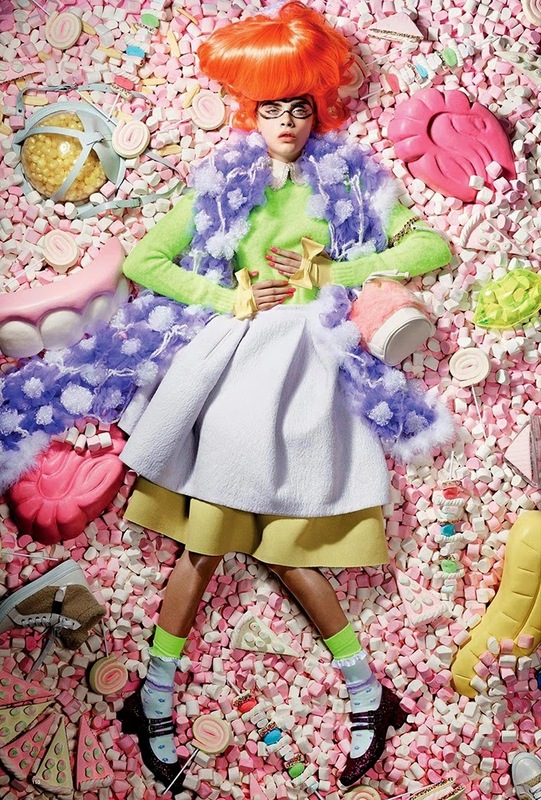 Take a bite outta life with a burgeoning blend of pink, orange, yellow, green, red & blue.Photographer Liz Collins goes sweet-chic with all those delicious looks.